Engineering managers may work in a number of different specialties, including civil, chemical, structural, mechanical and computer engineering, just to name a few. 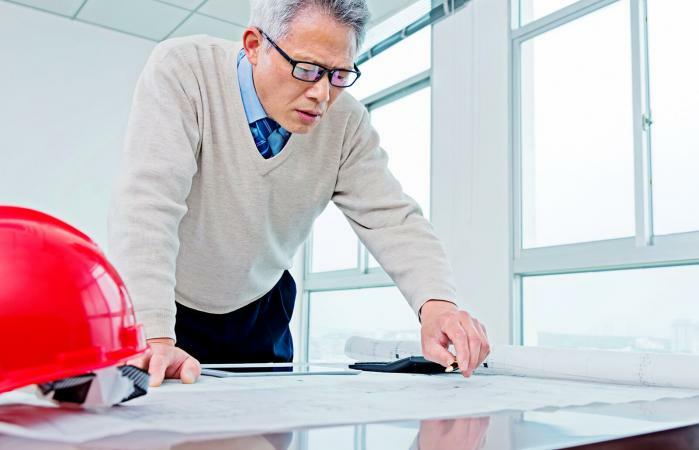 While the engineering-specific tasks they are required to perform vary based on specialty and setting, the managerial aspects of their work tend to be similar. The attached printable job description provides a good overview of core job duties and requirements for this type of position. 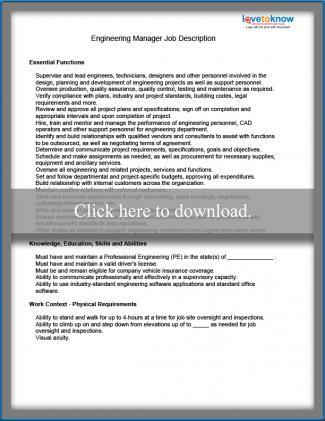 To access the printable job description, simply click the image to open the document. The job description is a customizable PDF file that you can edit, save and print. The way the file opens depends on your browser settings; it may launch in a browser window or it may download as an independent PDF file. No matter how the file opens, you can save or print it via the "File" menu, or by clicking the diskette or printer buttons on the horizontal toolbar at the top of the page. The document can be easily customized to meet the needs of any position. Adding and removing information is simple. You can activate any row for text editing simply by clicking inside the row you want to edit. Whether you are writing a job description for the engineering managers in your company or if you are an engineer who is wondering if moving to a managerial role is something you should consider, reviewing the printable job description provided here can provide you with a good overview and is a good starting point for your research. Either way, it's important to know that job descriptions should be highly position-specific, so details are likely to vary from the example document. If you're interviewing for a job, ask to see the company's job description before making a decision. If you're writing a job description, make sure you have a clear picture of expectations for your company's engineering managers and adjust accordingly. It's a good idea to get input from people in the position while developing new job descriptions, and you should have them reviewed by your company's employment law attorney before finalizing.